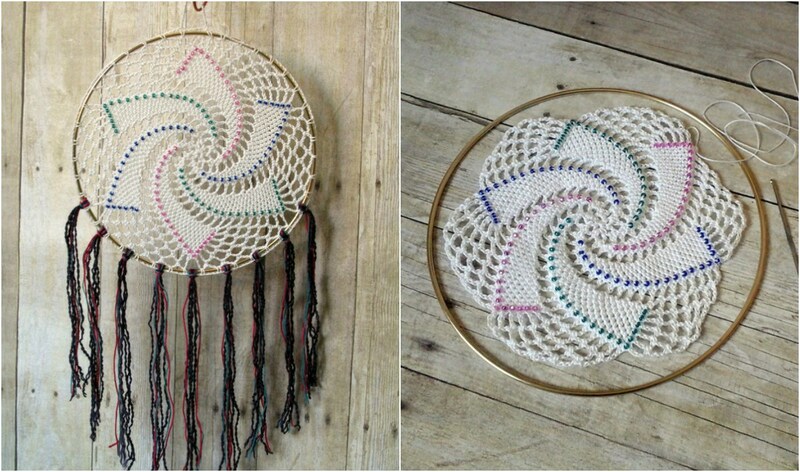 Technically, the technique and materials used to create this dreamcatcher is very different than a traditional, Native American dreamcatcher. However, I really couldn’t find more appropriate terminology when naming this project. This is a fun way to take a relatively simple crocheted doily design to the next level. Think of this as mixed media for fiber artists. Don’t be intimidated by the pattern, even if you have never incorporated beadwork into your crochet. It’s a lot easier than you may expect.